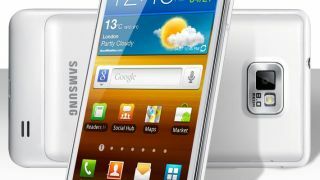 According to industry insiders, the Samsung Galaxy S2 will definitely get the Android 4.1 Jelly Bean update. This comes as no surprise, as the dual-core handset is easily capable of running the latest version of Google's mobile operating system, and seeing as it's still an incredibly popular phone it would be silly for Samsung not to update it. Sam Mobile claims its "insiders" have confirmed that Samsung is currently testing the Galaxy S2 Jelly Bean upgrade, which will apparently make its way onto handsets between September and October. The Galaxy S2 isn't the only handset from the Korean firm to be getting the taste of Jelly Bean, with the same insiders saying they were "100% sure" that the Samsung Galaxy Note will also get the upgrade – and once again this isn't surprising. We expect Samsung to roll out the Jelly Bean update to its flagship Galaxy S3 handset first, with the new software then being pushed out to the slightly older handsets. Samsung are staying coy on the Jelly Bean update, with the latest statement reading: "The rollout of Android 4.1, Jelly Bean, has started with Galaxy Nexus HSPA+ and Nexus S devices. We will announce updates to the rest of our Galaxy portfolio of devices in due course." If you want to know where all the manufacturers stand on the Android update, take a look at our Android 4.1 Jelly Bean release date: when will you get it article.